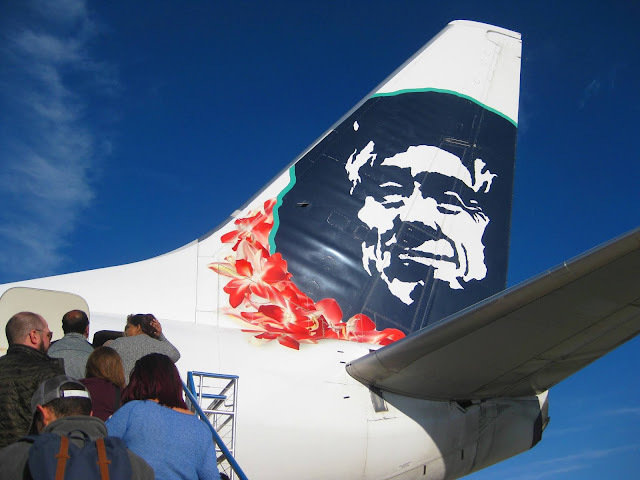 Low-cost carriers continue to lead U.S. airlines in the J.D. Power 2018 North America Airline Satisfaction Study as overall satisfaction with the nation’s airline industry continues to increase. According to responses submitted by more than 11,500 business and leisure travelers between March 2017 and March 2018, airline investments in newer planes, improved customer satisfaction with overhead storage compartments and cheaper fares have driven a seventh straight year of improved customer satisfaction. Overall passenger satisfaction with U.S. airlines improved to 762 points on a 1,000-point scale in 2018, a record high and four points higher than the 756 points scored in the 2017 survey. “With a single exception, airlines in North America show consistent improvements across all the factors, from booking a ticket to handling luggage,” Michael Taylor, Travel Practice Lead at J.D. Power, said. “Operationally, it’s never been a better time to fly. Passengers perceive greater value in ticket prices, checking in has never been easier, passengers are more satisfied with the actual aircraft and airlines have improved their baggage-handling performance." That single exception? In-flight services, which includes food, beverage and entertainment systems. I'm not surprised. As I detailed previously, I've had poor experiences with in-flight service on vaunted jetBlue (NASDAQ:JBLU) and challenges using Alaska Airlines' (NYSE:ALK) "BEYOND" in-flight entertainment system. Interestingly, another recent study showed that jetBlue and Southwest bested all other U.S. airlines when it came to in-flight Wi-Fi. Perhaps it won't come as a surprise, then, to learn that it was not traditional carriers but no-frills airlines that topped the survey. Though Power categorizes them as "low-cost," that's something of a misnomer in today's market. As it did last year, Southwest Airlines (NYSE:LUV) ranked No. 1 with a score of 818, an improvement from last year's No. 1 score of 807. It performed well in all seven factors of the study, with a great deal of its year-over-year improvement coming from investments in fleet improvements. 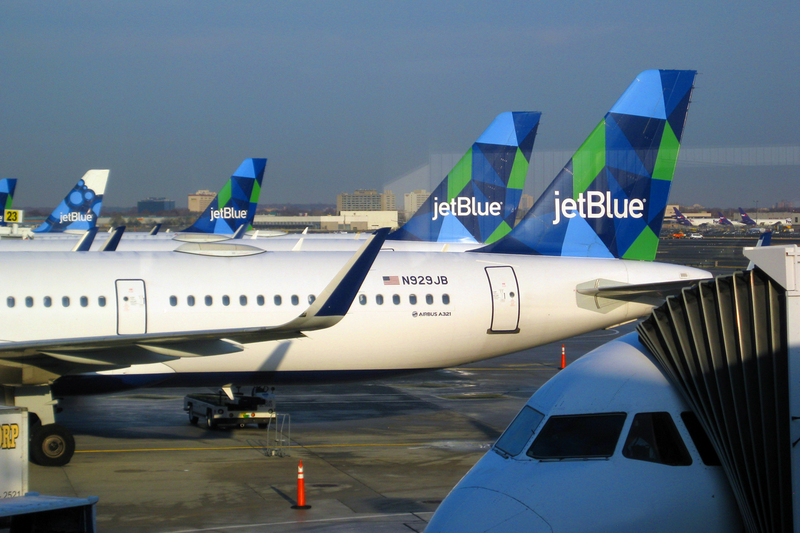 jetBlue ranked second this year, as it did last. It too showed year-over-year improvement with a sore of 812 compared to 803 last year. 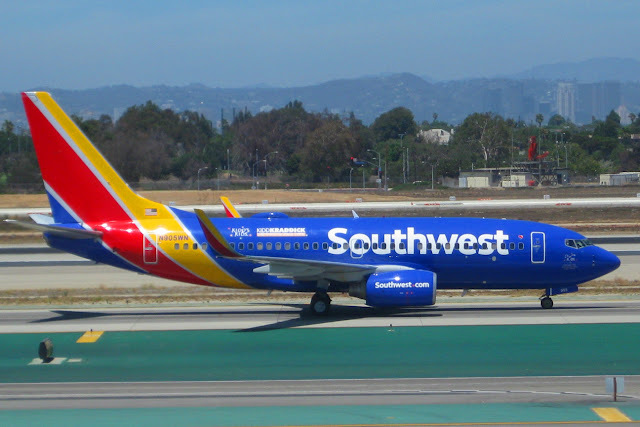 Both Southwest and jetBlue earned a Power Circle Rating of "Among the best." Circle Ratings give consumers a quick read on the quality of the provider without requiring them to dig deeply into the details. As in the past, low-cost carriers also brought up the rear. Frontier, (NASDAQ:FRNT) with a score of 693 was the lowest-rated airline, though it showed a 30-point improvement from its 2017 rating. Among traditional carriers, Alaska Airlines (NYSE:ALK) ranked highest for the 11th consecutive year with a score of 775 and a Power Circle Rating of "Among the best" while Delta Air Lines (NYSE:DAL) ranked the highest of the nation’s Big Three carriers, second among traditional airlines and fourth overall, with a score of 767 and a Power Circle Rating of "Better than most." “Traditional carriers” are defined as airlines that operate multi-cabin aircraft and use multiple airport hubs. American Airlines (NASDAQ:AAL) scored 729 points, earning it a Power Circle Rating of "About Average" while United Airlines (NYSE:UAL) scored the lowest among traditional carriers with a score of 708 points and a Power Circle Rating of "The rest." The study, which is now in its 14th year, measures passenger satisfaction with North American airline carriers based on performance in seven factors. In order of importance, they are cost & fees; in-flight services; aircraft; boarding/deplaning/baggage; flight crew; check-in; and reservation. Record-high customer satisfaction. Overall satisfaction with airlines in 2018 increases by 6 points to 762, continuing a seven-year trend of steady performance increases. Both traditional and low-cost carriers have improved. Newer, bigger, better. Annual improvement in overall customer satisfaction is driven by increased satisfaction with the aircraft (+15 points); a better experience with boarding/deplaning/baggage (+10) and reservation (+11); and satisfaction with costs & fees (+8). The attribute contributing to improved customer perceptions of the aircraft is availability of overhead storage, an area in which the study’s top-ranked airlines have recently invested significantly. “Please discontinue the use of electronic devices” Airlines continue to struggle to meet customer expectations for device connectivity, with in-flight services scoring lower than any other factor in the study. Compared with aircraft offering seatback screens, passengers using their own mobile devices to access in-flight services are less satisfied with the variety of in-flight entertainment available and availability of in-flight services. Keeping pace with improvements in Wi-Fi technology is a difficult and expensive proposition for the airlines. Is airline performance really improving? Perhaps marginally, but in the main, I don't believe it. Power, whose studies I respect, may be getting skewed data from its respondents. If those 11,500 respondents were mostly frequent flyers who can use their accrued miles to upgrade to better accommodations and therefore get better treatment, good on 'em. Or perhaps we're just getting used to being treated like cattle while carriers nickel-and-dime us at virtually every turn. If they really want a picture of how the airlines are perceived by the masses who ride in "standard economy" or "steerage," as I'm fond of calling it, head to any major airport, sit at the gate, and just talk to people. My expectation is that you will find the overwhelming majority of U.S. travelers profoundly dissatisfied with the state of air travel.